Editor’s note: This is the first in a four-part series about security issues and paperless transaction management platforms. See part two, part three and part four. Are you tired of having to run back to the office to pick up a paper version of your contracts? Have you ever lost out on a multiple offer because the other agent’s clients were signing on an iPad and you had to drive across town to obtain a signature? If so, it’s time to make the shift to going paperless. 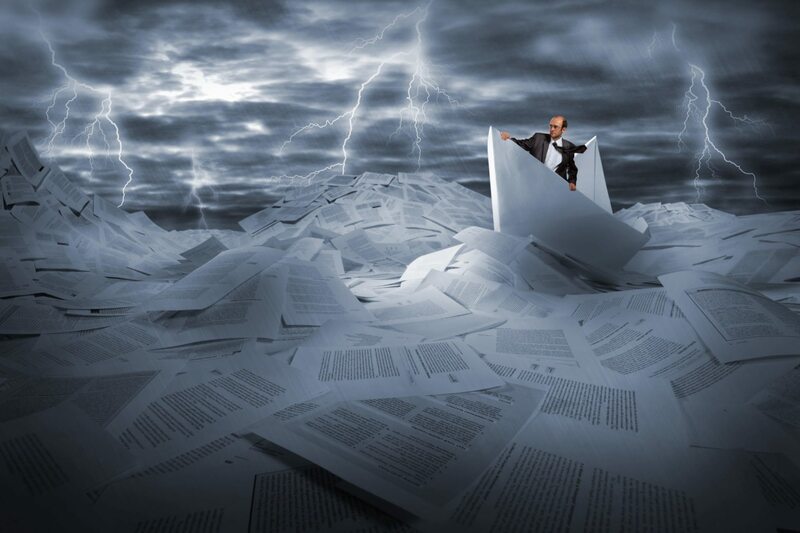 Managing the paper version of a real estate transaction has become a nightmare. If you’re holding an open house, for example, you must be prepared to take a listing or write an offer on the spot. In order to be prepared, you must keep the agency disclosures, purchase contracts, listing agreements, property disclosures, plus any other required documents with you at all times. Complicating matters even further, many states require agents to track 100 or more items to close a single transaction. In the paper world, each of these items begins with the agent filling out the client’s name, address and other contact information. This also means that the agent has to physically deliver the documents for signature or that the clients must print out the documents on their own printer. It’s a huge hassle for everyone. Another agent shared how going paperless helped her in a multiple-offer situation. She was competing against three other agents. Once the seller issued the counteroffer, she sent it to her buyer, who was on a flight from Los Angeles to Chicago. Her buyer signed the counteroffer using DocuSign. She finalized the deal in less than 10 minutes. The other two agents barely had time to contact their clients to arrange a meeting. Signed into law by President Bill Clinton in June 2000, the Electronic Signatures in Global and National Commerce Act established standards for digital signatures. The act allows the consumer to have the option of signing electronically or using paper and ink. Furthermore, it gives electronic contracts the same weight as those executed on paper. Although the act enables documents to be signed electronically, the option to do so lies solely with the consumer. In other words, no portion of the act requires you to sign documents electronically; you retain the right to use “paper and ink” documents at your discretion. The act specifically avoids stipulating any “approved” form of electronic signature, instead leaving the method open to interpretation by the marketplace. Any number of methods are acceptable under the act. Methods include simply pressing an “I Accept” button, digital certificates, smart cards, and biometrics. The challenge with the situation above is that when the buyer’s agent made a copy and faxed it, it destroyed the digital tracking embedded as “metadata” in electronic documents. Furthermore, when the paperless agent scans the document back into the system, her supervising broker may believe that he has a valid digital paper trail when in truth he does not. What’s particularly frustrating is the escrow or title officer who insists on “wet signatures” (i.e., handwritten vs. digital), even though the law allows for digital signing on most documents. This generally means that someone has to drive to a physical location to obtain wet signatures in person. There are mortgage issues as well. According to Linda Komm, vice president and manager of SWBC Mortgage in Austin, Texas, there are also two documents in financed transactions that require a “wet” signature. The first is IRS form 4506, Request for Copy of Tax Return, and the second is the Truth In Lending Act (TILA) disclosure statement. Since loan documents can be 100 pages or more in length, allowing more borrowers to sign their loan documents digitally would save the entire industry massive amounts of time, paper and money. 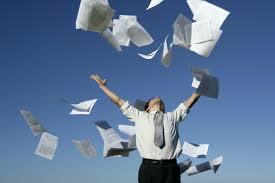 The industry will ultimately be paperless. The question is how soon before you make the shift and start saving time and money in your business?